Bajaj Autohas passed on the GST (Goods & Service Tax) benefits to consumers and this has resulted in the ex-showroom price of its prooducts being reduced marginally. 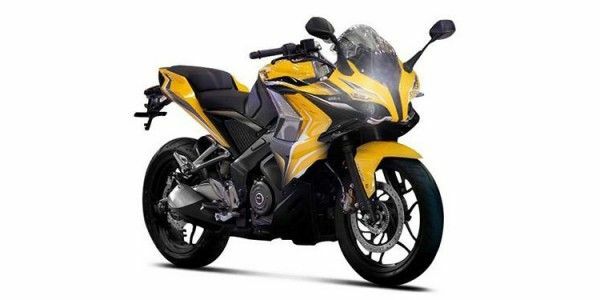 Share your experiences with Pulsar RS400? Q. Which is best pulsar rs400 ,or dominar400? As the Pulsar Rs400 isn't launched in the market yet it would be too early to give a verdict on the comparison. Q. When is the launch date and estimated price? Bajaj Pulsar RS400 is going to launch in India with an estimated price of Rs. 1.70 lakh. There is no official update regarding its launch from the brand yet. Q. Is it confirmed that RS400 will be launched in December 2018? If not then I will buy another bike. Q. What is difference between pulsar 400 and KTM 390? We can't give any verdict here as Pulsar 400 hasn't been launched yet and there is no official update for the brand for it. so, we would suggest you to wait till we get any update regarding it.